Claude Monet was born 108 years before I was, and I didn’t learn about him until I was 15, when a gifted French teacher decided to instruct us about the art, the music, the literature and the architecture as well as the language. His work, as pictured in art books the teacher brought to class, astounded me. When I saw some of his paintings close up at the St. Louis Art Museum, they took my breath away. 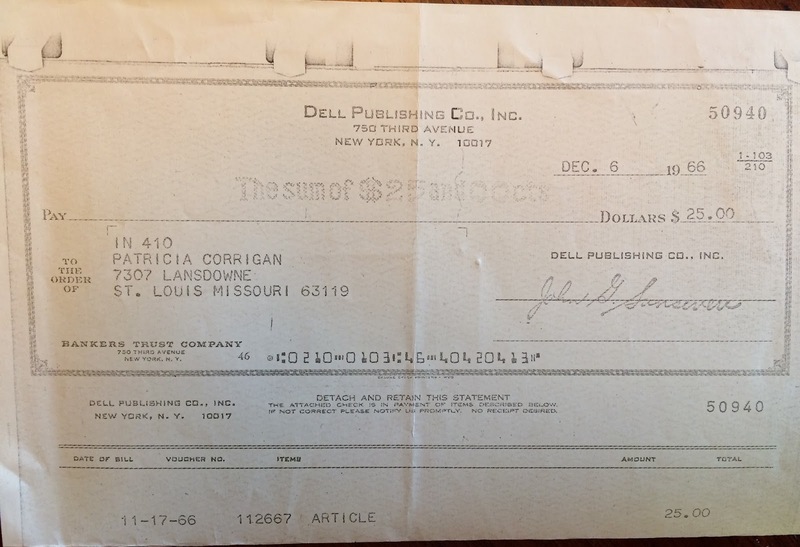 Three years later, when I received my first check for freelance work, from Dell Publishing Company’s Ingenue magazine, I used the money to buy a biography of Monet. At the time, I had no idea the magazine was written by old white men, so when I submitted the article, I didn’t mention I was a teenage girl. 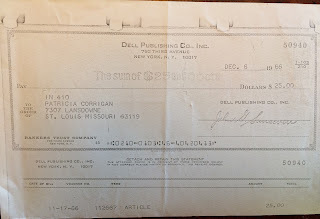 The check was for $25. My mom photocopied it for me at her office. In the decades since, I have continued to read about Monet, think about him and seek out exhibitions of his work. 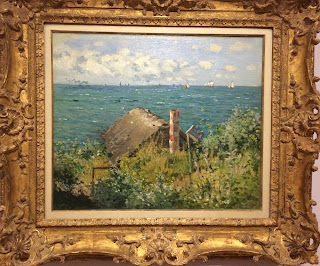 Earlier this week, I abandoned my current freelance assignments and ran off to the Legion of Honor Museum in San Francisco to see “Monet: The Early Years,” a splendid exhibit of 53 works painted between 1858 and 1872. The exhibit is exhilarating – read more about it at https://legionofhonor.famsf.org/monet-early-years and if you are a fan, do try to get to San Francisco to see it before it closes May 29. Many of the paintings depict light dancing on water. One shows a haystack, not purely realistic but not yet infused with light at different times of day. Some show the early influence of Japanese art on Monet’s work. In one gallery, I zeroed in on an immediate favorite, a painting I’d never seen before. 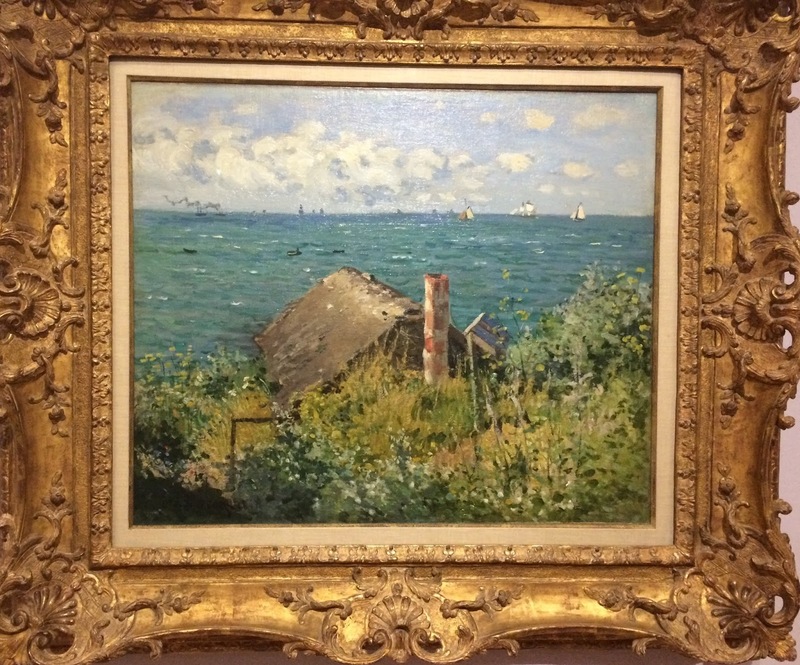 “A Hut at Sainte-Adresse” shows a humble structure hard by the sea, with flowers crowded just behind and sailboats in the distance on the waves. I looked at it a long time. “I want to live there,” I thought. Then I realized in so many ways, I already do, with the edge of this continent in such close proximity to my apartment. I bought a postcard of the painting. It was fun to see “Luncheon on the Grass,” Monet’s jibe at Édouard Manet’s painting of the same name. “The Magpie” is here, a painting I’ve always loved. Dear friends in St. Louis have a large print of it hanging in their home. Toward the end of the exhibit are the works that led Monet to Impressionism, the movement he named and the genre he mastered beyond any other artist. Before I left, I sat for awhile in the outdoor café, just steps from the Golden Gate Strait. As wisps of fog drifted over the café wall, two nearby fog horns sounded like cellos warming up for a concert. Then I headed back to my excellent parking spot, just a short walk from the museum. I had scored the spot by calling on the spirit of the museum’s founder and benefactor. 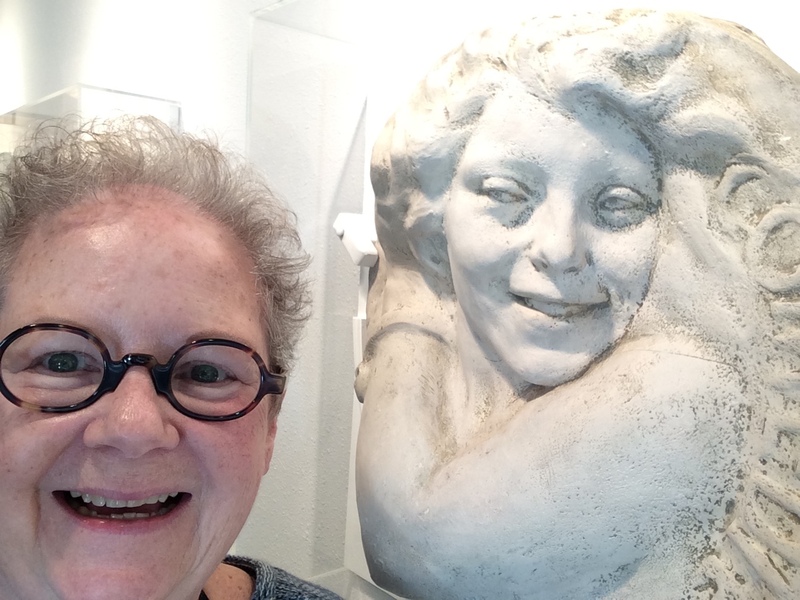 “Alma Spreckels,” I yelled as I approached the museum, “I need a good place to park!” She came through. Spreckels’s story is highly entertaining. For one thing, she was the model for the 9-foot-tall statue atop the 85-foot-high Dewey Monument in the center of Union Square. Read about that in Bernice Scharlach’s fun book “Big Alma,” which also teaches much about San Francisco’s history. Spreckels was friends with dancer Loie Fuller (one of my favorite women from history -- see us together, below), and it's Fuller that gets the credit for the many Rodin sculptures at The Legion of Honor. Driving away, I rolled down all the car windows and invited in the sea air as I cruised slowly along Ocean Beach. Next I stopped to shop and schmooze at 3 Fish Studios in the Outer Sunset, where Eric Rewitzer makes linocut prints and Annie Galvin paints. The shop sells affordable original paintings and prints, postcards, other works on paper and particularly appealing totes. Right now, the big draw at 3 Fish Studios is an image depicting Eric’s personal response to the election. 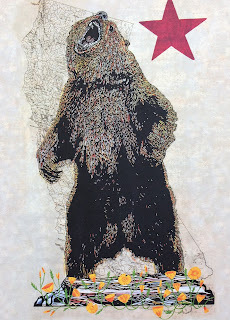 “California Rising” depicts a giant bear, standing erect and roaring loud, with California poppies at its feet. The image and Eric’s story appeared recently in Time magazine (http://time.com/4657662/california-president-donald-trump/ ). A few blocks away is Avenues Dry Goods (https://avenuesdrygoods.com/), a cozy Outer Sunset emporium specializing in "useful, practical and delightful things," many of them made locally. The company in the shop is always good too. Eve Batey, my co-author for “100 Things to Do in San Francisco Before You Die” (https://www.facebook.com/100thingsSF/), owns the store with her husband, Tim Ehhalt, and most of the time, one dog or another is in residence. Also, gifted florist Peter Cochrane works out of the adjacent space. We sat and talked about Monet, defiant bears, the Outer Sunset and more -- a lovely ending to a perfect afternoon.